RICHMOND and Collingwood have made no late changes to their sides for Saturday afternoon's blockbuster at the MCG. Both teams made two changes to their round 18 teams with the Tigers recalling Jacob Townsend for his first AFL game since round nine and naming midfielder/forward Liam Baker for his debut match. Coach Damien Hardwick dropped Callum Moore after the forward failed to kick a goal in his last two games and have lost Connor Menadue to injury. Baker will start on the bench, along with Brandon Ellis, Jack Higgins and Kamdyn McIntosh. The Magpies have regained Darcy Moore, after the defender was a late withdrawal from their win over North Melbourne last Saturday with hamstring tightness. They've also recalled Callum Brown after an impressive stint at VFL level. 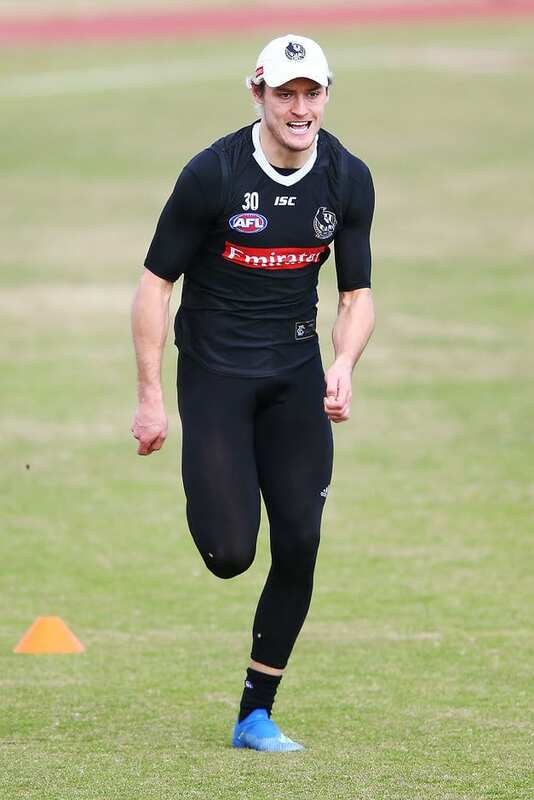 However, they've lost in-form goal-kicker Jordan De Goey for at least the next two weeks because of bone stress in his lower leg. De Goey has been managing the soreness since round 14 but it came to a head last week after the Kangaroos' game, with the dynamic midfielder forced off legs for at least a fortnight. Brayden Sier has also left the side because of leg soreness after his fourth AFL game last week. Brown will join Tom Langdon, Travis Varcoe and Josh Daicos on the bench for the start of the game at 1.45pm AEST. Hardwick will celebrate his 200th game coached this afternoon, while the Tigers' most improved player Jayden Short will run out for his 50th game. Collingwood ruckman Brodie Grundy is set to notch up 100 games when he goes up against Richmond big man Toby Nankervis in what promises to be an influential battle. A crowd of around 85,000 has been predicted for the sold-out clash, with a clear afternoon and a top of 19 forecast before showers this evening.